Throughout the book Costello describes how she had experienced symptoms of depression for years but had not sought out treatment until her sons began to experience mental health problems as well. I think this is all too common for parents, especially mothers. We have a tendency to want to put our children’s health above our own, but as Costello points out, in the case of mental illness, this approach is ineffective and potentially harmful. Through her investigation she found research illustrating that children of depressed mothers are much more likely to experience depression or anxiety by adolescence, especially if another close relative has a history of depression. On the other hand, when depressed mothers were effectively treated, their children were more likely to recovery themselves (if already experiencing depression) or not experience symptoms at all. In this fascinating page-turner, Victoria Costello is forced to act as both memoirist and detective after her oldest son spirals into paranoid schizophrenia and ruins the “don’t ask, don’t tell” policy her family has employed for decades. In Costello’s family, mental illness was always there – but hidden always under a different name. Suicides were labeled as accidents. Alcoholism and drug addiction simply weren’t discussed. Everything in between was swept under the rug with only the most cursory explanation given. Even her own depression was labeled “the blues” and promptly ignored by her. However, once her eldest son has a complete breakdown – resulting in psychiatric institutionalization – Costello is required to search under these rugs for the biological factors that make up her (and her son’s) psychiatric history. This need is only further amplified when her youngest (and previously perfect) son suffers a meltdown and is diagnosed with an anxiety disorder. In the end, all have lovely recoveries. But the secrets she unearths are unsettling to say the least. Backed with solid research and groundbreaking studies; Costello’s story is moving and informative. She makes a solid and compelling case for knowing your family’s medical history – both physical and psychiatric. After learning what I’ve learned here, I know I’ll dig a little deeper into my own history. A must read for anyone struggling with mental illness or struggling to come to terms with a family member’s mental illness. Was Grandpa’s Accident Actually a Suicide? The central thesis of an important new book, A Lethal Inheritance: A Mother Uncovers the Science behind Three Generations of Mental Illness, is that the answer to this and other similarly painful questions about family history are critical to the mental health of future generations.The author, Victoria Costello, is a science journalist and mother of two sons diagnosed with serious mental illness, one schizophrenia and the other major depression, in their late adolescence. I found the book to be hopeful and refreshing, essential reading for parents, professionals and policy makers. Read the whole review from pediatrician Claudia Gold in The Boston Globe. That was also the day she confronted her long-untreated depression, and the day she began to wonder in earnest about her family history and a pattern of depression, substance abuse and suicide. Seven years later, her older son, Sammy, was diagnosed with depression and social anxiety. Her compelling book combines a record of her and her sons’ challenges, her search to understand exactly what happened to family members in generations past, and the innovations in today’s diagnosis and treatment for mental illness. Costello, a science journalist and advocate who works for the Mental Health Association of San Francisco, is well qualified to explain the research that endeavors to understand how mental illness can follow genetic lines, and what can be done to circumvent it or reverse it. The good news here is that she and her sons received treatment that has allowed them to live happy, normal lives. She is convinced that without it, they would have likely faced the same tragic early deaths suffered by her sister, father and grandfather. 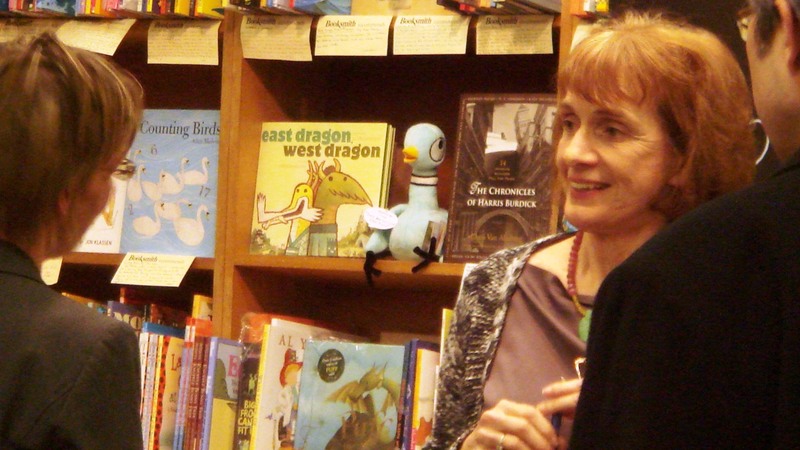 From Monsters & Critics.com by Sandy Amazeen Jan 25, 2012 – “When the administrator of yet another high school informed Victoria Costello that her seventeen year old son Alex was not to come back, followed by Alex running her car into a fence for no apparent reason, she had little choice but face facts. Especially as those facts included a diagnosis of paranoid schizophrenia, an outcome not completely unexpected as Alex had shown signs of being “different” since early childhood. Two years after his older brother’s breakdown, Victoria’s “perfect” son Sammy began exhibiting signs of mental illness as well. Plagued with depression for much of her life, Victoria gained the courage to cast off years of denial. As Victoria searches for medical answers, effective treatment options and delves into her family history, she discovers long kept secrets and half-truths that veiled two suicides and a line of assorted mental illness spanning three generations. Although Victoria’s story could easily be depressing, this deeply personal book details one family’s journey through the stigma, denial, treatment difficulties and emerging medical research to reach a point where Alex, Sammy and their mom are enjoying life as never before. Filled with solid science, useful guidelines and information on the latest cutting edge studies, this educational book delivers plenty of material for anyone coping with mental illness or seeking to understand someone who is. The list of reader resources rounds out this thoroughly researched yet approachable book. A couple of recent memoirs have focused on the author’s quest to discover and chronicle a family history of mental illness, but I do not know of any that focus on the science behind this legacy with such meticulousness and precision as does Victoria Costello’s new book, A Lethal Inheritance: A Mother Uncovers The Science Behind Three Generations of Mental Illness. It’s a tall order to do justice to several generations’ psychic suffering while also explaining the pertinent scientific studies, but Costello does as promised. The end product is an impressive compendium, part family history, part memoir, part journalistic explication of the relevant research, and part anguished attempt to understand how Costello could have stood by while first one teenage son and then the other degenerated into mental illness. From Publisher’s Weekly, on: October 24, 2011 – “A science journalist and mental health advocate in San Francisco, Costello offers both an affecting chronicle of her family’s mental illness and a useful guide to detection and prevention. Both of her sons suffered for years and were occasionally hospitalized—the eldest, Alex, was finally diagnosed with paranoid schizophrenia at age 18 in 1998; his younger brother by six years, Sammy, battled anxiety and depression. While signs of antisocial behavior had been prevalent for years, Alex’s illness exploded at age 14 (not unusual during the maturation process of adolescence), while Sammy, too, hit middle school “like a wind-up toy whose batteries simply gave out.” What Costello had to face was what she calls “connecting the dots” from her children’s mental illness to that of several generations of family members, such as her father’s alcoholism and depression, her sister’s death from a drug overdose, and her own depression and abuse of alcohol. Attempting to diagnose children for mental disorders takes into account this predisposition and family history (Costello cites one study of the susceptibility of the Irish to mental illness), useful for early detection and treatment; moreover, recognizing and avoiding environmental factors for at-risk kids such as chaos at home (i.e., divorce), bullying, and drug abuse can actually prevent the onset of mental illness. In the end, Costello presents a book of vigorous personal and factual research. 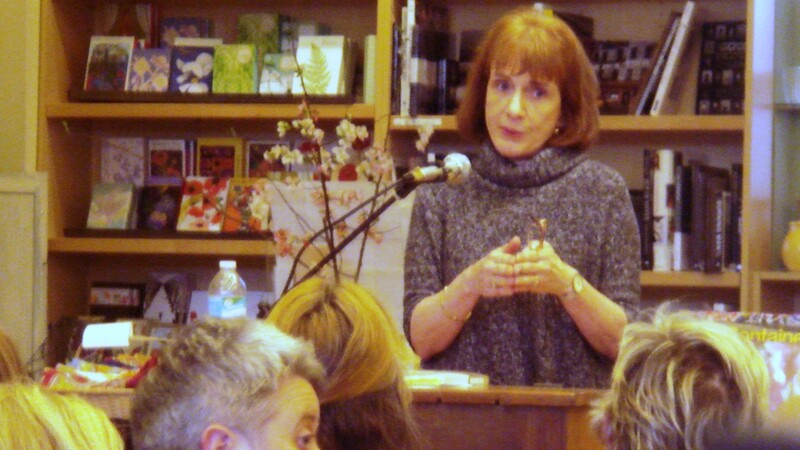 From Lois Henderson for bookpleasures.com on March 27, 2012 – Only a journalist who has spent years investigating the impact of mental illness on family development and a devoted mother who is set on exploring the ramifications of such disease in her own family could produce a work of such profound integrity and honesty as A Lethal Inheritance by Victoria Costello. A combination of both soul-searching memoir and account of scientific discovery and developments in the field of psychiatric dysfuntion, the book unveils the truth behind three generations of the Costello family that has been shaken to its very core by the potentially devastating dual ravages of paranoid schizophrenia and depression. By contextualizing, within her broader family history, her own struggle to cope with depression and her son’s psychiatric disorder that displays itself in ways that many so-called “normal” people would regard as aberrant behavior, Ms Costello demythologizes mental illness, making the phenomenon not only understandable, but also a region for hope rather than despair. Much of the focus of this healing memoir is set on enlightening and reassuring those who detect the presence of lack of mental well-being within their own families and who feel beset by the fear of what the rest of society will say and how it will respond to them once the truth “gets out.” The message overall is comforting and uplifting, helping to restore a healthy sense of balance in those who might otherwise feel traumatized by apparently unfavorable diagnoses. Throughout the text of A Lethal Inheritance, Ms Costello counterpoises the saga of her own family, including details of her paternal grandfather’s suspected suicide and that of her own sister, with highly relevant and meaningful information gleaned from medical reports. Her objective detached retelling and reduction of the latter to layman’s terms bears witness to her journalistic background, while her sincerity and commitment to the cause of families having to come to terms with mental illness in their midst has resulted in a text that is both highly readable and intensely credible. 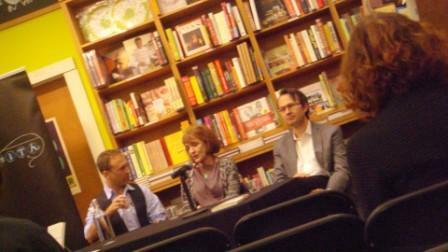 Some pics From the March 1-4 2012 events for the book’s official launch…at three wonderful Bay Area bookstores: Booksmith, Book Passage and Mrs. Dalloway’s. CLICK to visit the book website and buy your copy now!